The Motorola Moto G5S Plus which is one of the best smartphones that have been put forward in its price category in the market. After its launch of the phone, criticism begin to appear and everyone agreed that Motorola has greatly exceeded the design of the new phone, which was marred by some small flaws. In the following analysis, we present the most outstanding features and disadvantages of the Motorola Moto G5S Plus. The price of the Motorola Moto G5S Plus is the right price for the MOTO phone, with a price tag of around 300 euros ($ 355). Comparing the price of the phone with the capabilities and features that Motorola has given it, we find out that it is one of the best phones that fit people who do not want to spend a lot of money on purchases. The design of the Motorola Moto G5S Plus is one of its big strengths, as the company’s designers have been able to give the phone a design that is in line with the development of the smartphone industry, and the Motorola Moto G5S Plus comes out with an attractive design that can capture everyone’s attention. 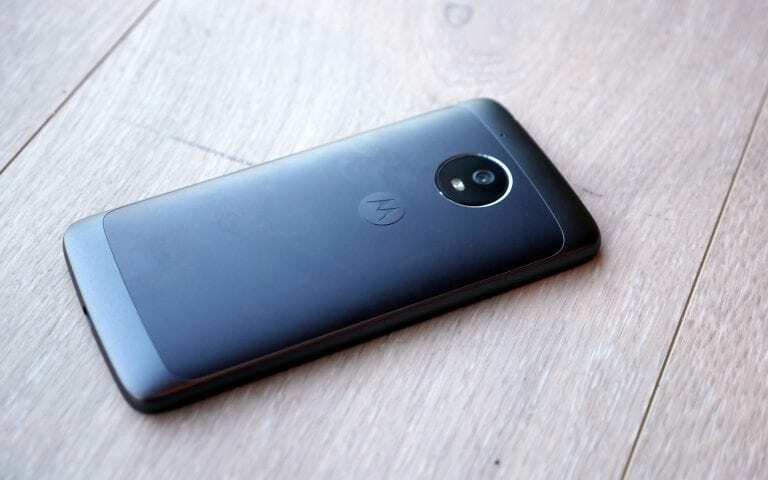 Motorola gave the Motorola Moto G5S Plus a metal frame that added a lot to the exterior shape of the phone and made it more streamlined while the back of the phone was designed much like the design of the Moto X series and a 5.5 ” Large with phone dimensions of 153.5 * 76.2 * 8 mm, which does not strain the eye when using the phone or watching pictures and videos. Motorola has granted its Motorola Moto G5S Plus a non-removable lithium-ion battery with a capacity of 3000 mA. Compared to other Motorola phones, Motorola’s battery was one of the most successful options; its make the phone capable of working for long periods of time without requiring users to recharge it, as well as providing the fast charging feature. It is one of the applications that enable the user to perform a large number of tasks through one step only by using a shortcut to start the phone in dealing with the order granted to him. The user can switch the fingerprint sensor to replace the home key or shake the phone twice quickly to turn on the camera flash or twist the wrist twice, holding the phone to operate the camera and other shortcuts that can save time to users. One of the things that Motorola has not been able to pay attention to when designing the Motorola Moto G5S Plus phone is forgetting that high-quality phone camera has become one of the necessities that all users are looking for before buying their new phone. The dual-camera Motorola G5S Plus’s 13-megapixel camera and f / 2.0 lens slot, with dual LED flash, came with a 2160-pixel video resolution at 30 frames per second, while the front camera’s resolution was 8-megapixels and ann f lens /2.0 and equipped with LED flash. When testing the dual-camera capability of the Motorola Moto G5S Plus camera, the quality of the camera is very poor and it does not show the details in the image, so users will not be able to take advantage of the dual camera during shooting. As for the front camera, it is not able to display colours clearly when dealing with different lighting qualities. Many users may have to reduce the volume of the Motorola Moto G5S Plus phone or keep the phone vibrating due to the extreme inconvenience caused by it, especially the sounds of default tones and alarm tones. Note: The prices of this smartphones as stated in this article are the prices listed in the stores at the time of publication of the report, prices are changing up and down according to the movement of markets. What is The Current Motorola Moto G5S Plus Price and Availability Status? You can click on the links below to view latest Motorola Moto G5S Plus price & availability. Jumia Nigeria |from N13,995 [eafl id=”22828″ name=”Jumia EG Motorola” text=”View Price Offers, Click HERE”]! Jumia Ghana |from GH?159 [eafl id=”15677″ name=”Jumia GH Motorola” text=”View Price Offers, Click Here”]! Jumia Egypt |from EGP990 [eafl id=”22828″ name=”Jumia EG Motorola” text=”View Price Offers, Click HERE”]!